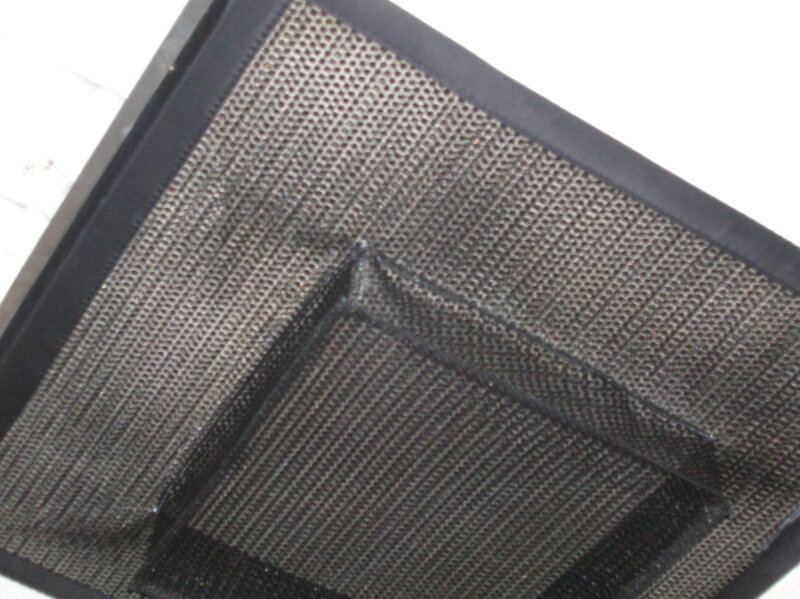 The air diffuser installed in the ceiling of an office building distributed hot or cold air regularly depending on the weather conditions. 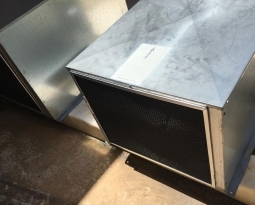 Unfortunately the conditioned air being blown into the office atmosphere through the air diffuser also included dust that had accumulated within the duct systems of the building. Employees were continually complaining to management that their desks and computer equipment was always covered in dust particles. Particles they were also breathing in throughout the work day. 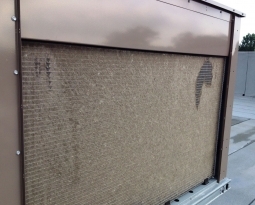 Many allergy triggers, like pollen, dust, lint and mold, are present in air ducts. 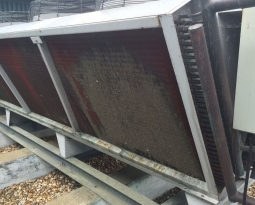 Indoor air is recirculated and can be up to 70% more polluted than outdoor air. 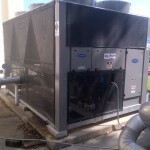 Permatron offers custom bonnet style air filters for many different types of ventilation applications. 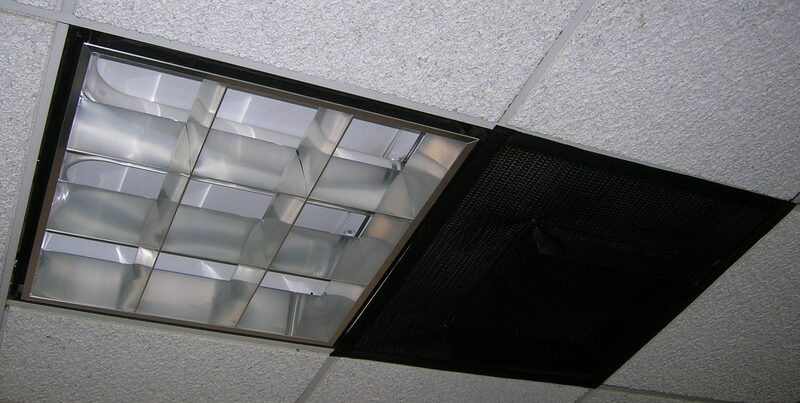 These air diffusers were rectangular and part of a lighting system installed within a drop down ceiling and held in place by a metal track system. The filter’s outer dimension was custom sized and finished with a lightweight, flexible vinyl edge for a clean look. Magnetic stripping placed within the vinyl edge securely attaches the filter to the metal track within the ceiling struture. 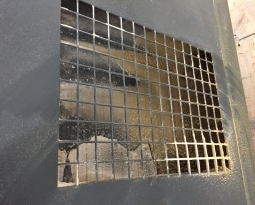 The center of the filter extends down a couple of inches to accommodate the depth of the air diffuser. The filter is made with washable, electrostatic polypropylene that effective traps dust until you clean it, and is available in white or black depending on decorating preference.